Why can’t ASI tend the Fort better? 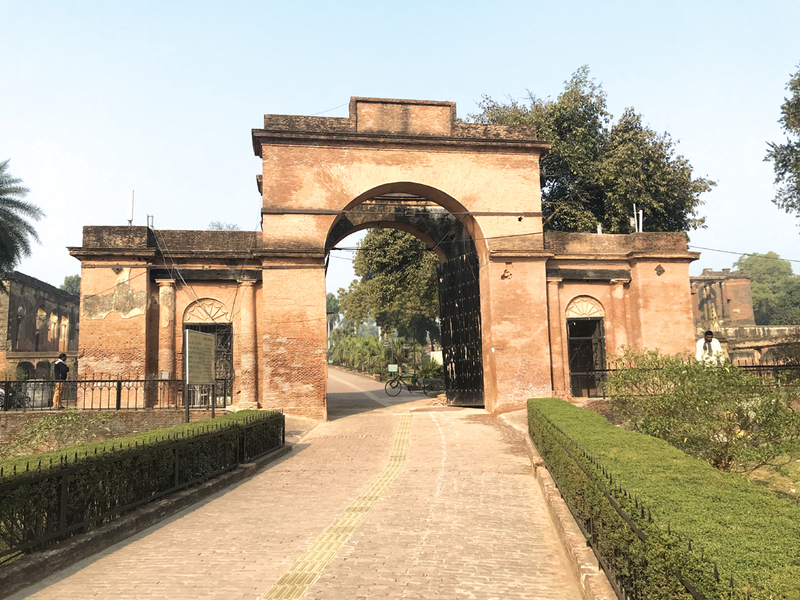 The Baillie Ground Gate to The Residency, Lucknow, demonstrates the care the ASI had taken with preservation of heritage here. Going to Fort St. George has become an increasingly depressing experience. The maintenance of the place leaves much to be desired and it is really a surprise that the various Government departments that operate from here should be so blind to their shabby surroundings. Paper cups (we are now a no-plastics State) abound, as does general litter. Several heritage buildings that are now mere hollow shells, serve as convenient places to throw garbage into and it is also a familiar sight to see men zipping their trousers and emerging from these hallowed structures. And so they double up as toilets as well. The Archaeological Survey of India, which, ideally speaking, ought to be maintaining much of the space remains content with taking care of its headquarters, located at the Great House aka Admiralty House on Charles Street in the Fort. Why is it not able to take care of the rest of the precinct? Elsewhere in the country, it is quite evident that the ASI does a perfectly good job of maintaining heritage precincts. The Thanjavur Brihadeeswarar Temple, the Mamallapuram complex, Badami, Aihole, Patadakkal and Hampi are all instances of very clean spaces that are welcoming to visitors. Of course, it may be argued that all of these are monuments that fall under UNESCO’s world heritage sites and so there has to be maintenance of a high standard. How then are we to explain the fact that the Residency complex in Lucknow too is kept in the best possible condition? A recent visit to Lucknow by our Associate Editor had revealed a beautifully maintained area. The space is not only walker-friendly but also has wheelchair facility, albeit just one, for those who cannot move around by themselves. The toilets are extremely clean and there is not a single scrap of paper lying around. A group of sweepers and gardeners is forever on the move, clearing up whatever little makes its way into the place. There are explanatory plaques put up by the side of each building and as for the museum that occupies the Residency building itself, it is a model of what such a facility ought to be – in terms of cleanliness, the courtesy of the staff and the information provided. And all of this provided by the ASI! There are, of course, certain advantages that locations such as Mamallapuram, the Residency and the Karnataka sites have – they are solely under the control of the ASI and so the organisation does not have to contend with conflicting interests. But what holds good for Fort St George is true for the Big Temple at Thanjavur as well. The shrine is one that sees active worship and is therefore subject to massive numbers of pilgrim footfalls. Yet is maintained very well indeed and is a joy to go around. The Fort similarly sees numerous people coming and going and you just need to see what filth is generated on a daily basis. The ASI here appears to have simply given up. It is true that the Fort suffers from multiple ownership – the Legislature, the TN Government, the Army, the Navy and the ASI are all responsible for its upkeep and collectively there appears to be none. But even locations that the ASI is solely in charge of, such as the Last House on Snob’s Alley and the ruin that was Wellesley’s House, are in a sorry state. There is an enormous amount of vegetation where the Post Office Square was till recently. Can the organisation at least pay attention to these pockets and make them more presentable?